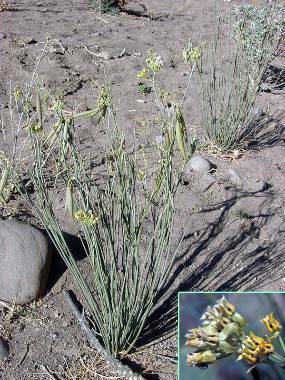 Asclepias linaria (pineleaf milkweed, Asclepiadaceae) is found mainly on Ragged Top. 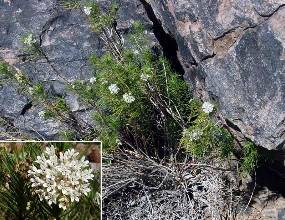 Asclepias subulata is widespread in the desert Southwest, but we found only one plant in IFNM, on the edge of the Sawtooth Mountains. 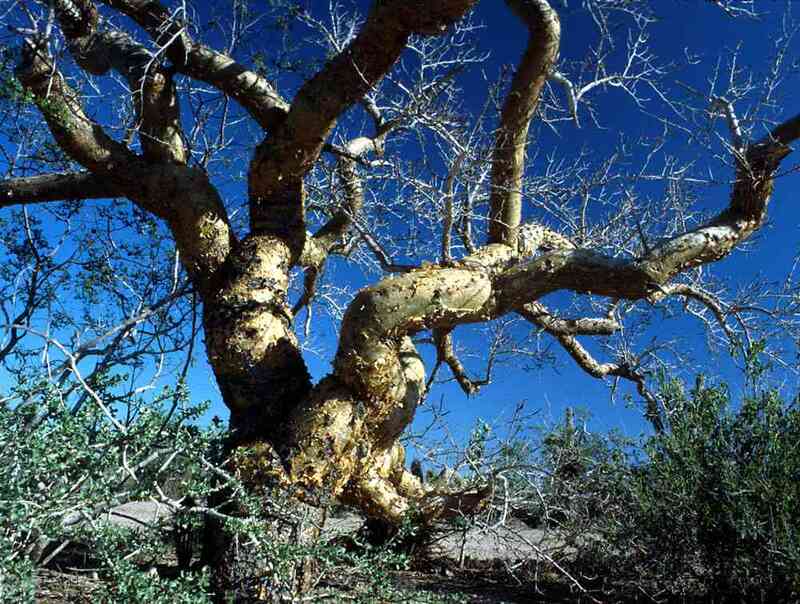 Bursera microphylla (elephant tree) is a desert plant derived from tropical ancestors. 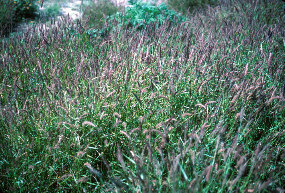 It is quite frost-sensitive and is therefore rare in the United States. In IFNM they occur only on cliffs in the Waterman Mountains. 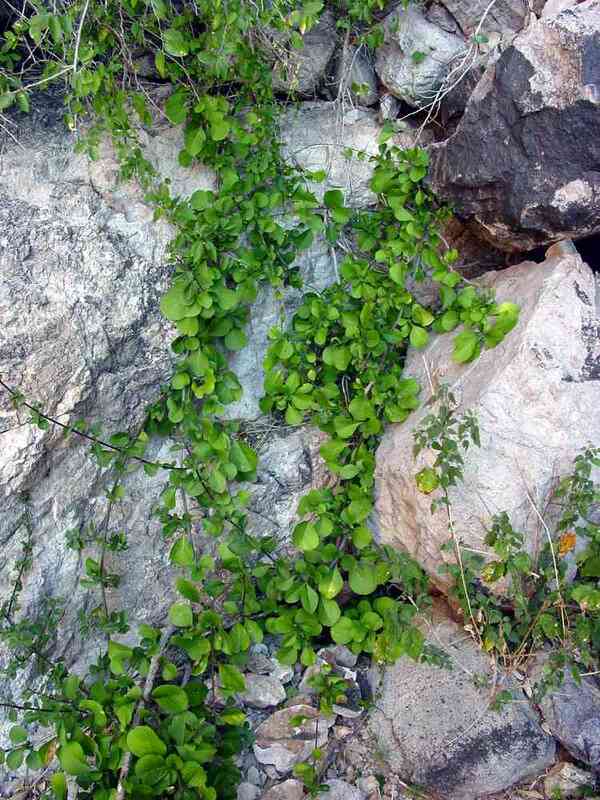 Stems that grow away from the cliffs are periodically frozen back. 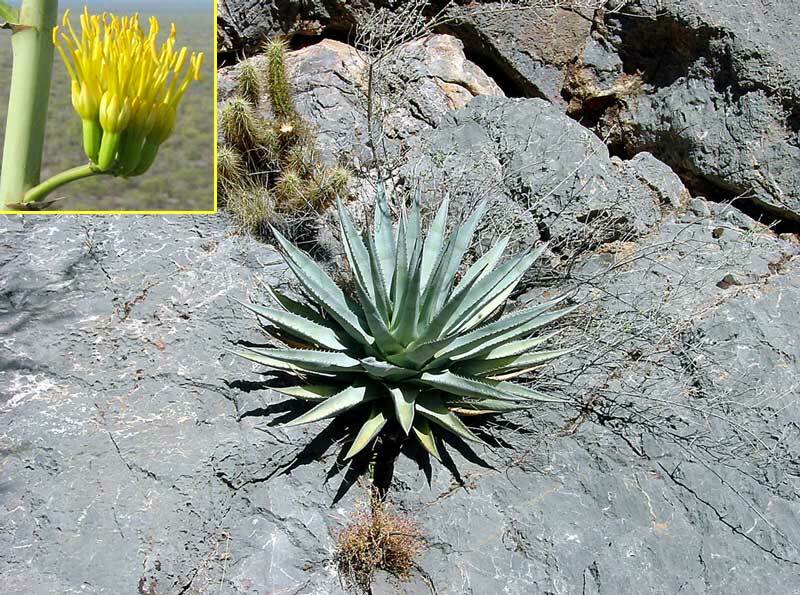 They don't become the magnificent specimens that grow in Mexico. 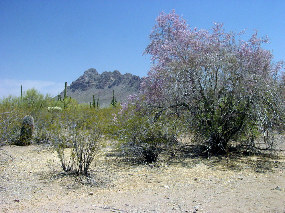 The Waterman elephant trees have different foliage from that of other populations. 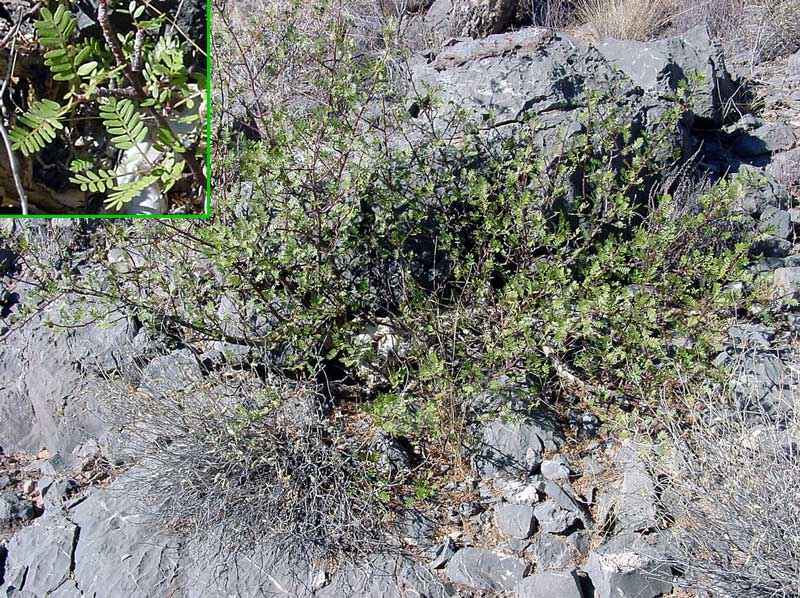 These plants may be derived from a hybridization with B. fagaroides. 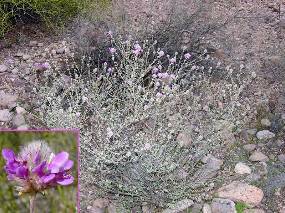 Dalea pulchra (indigo bush, Fabaceae) was another surprise. It is not usually found as low as the valley washes in IFNM. 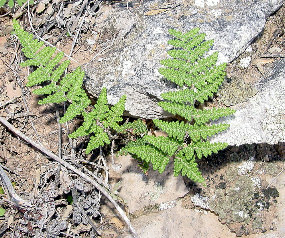 The small population was in a wash on the lower bajada of the Roskruge Mountains. 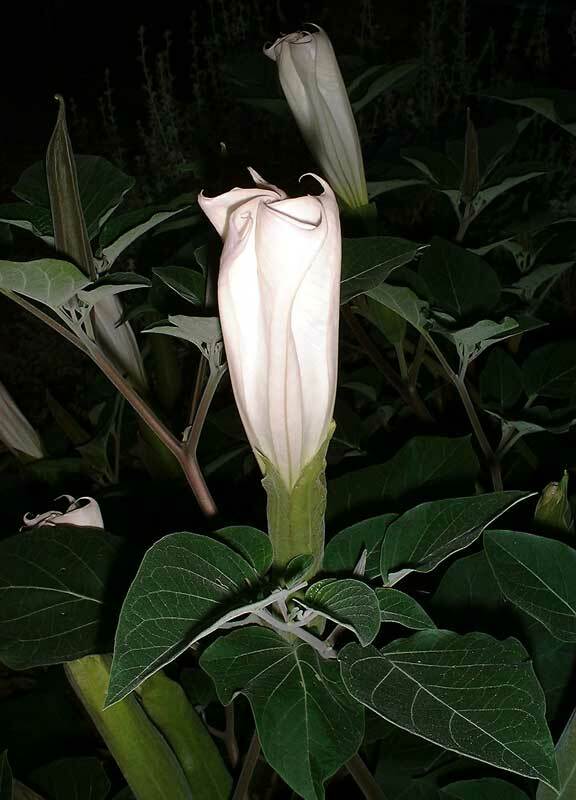 Datura wrightii (datura, Jimson weed, and many other vernacular names, Solanaceae) is another very common plant in the Southwest, but only one plant was found in IFNM. 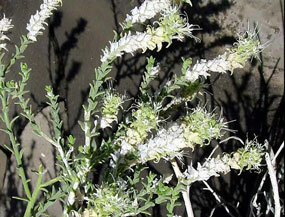 It was in the heavily disturbed Greene Wash east of the Sawtooth Mountains. Erodium cicutarium (filaree, Geraniaceae) is an abundant exotic weed all over the western states. 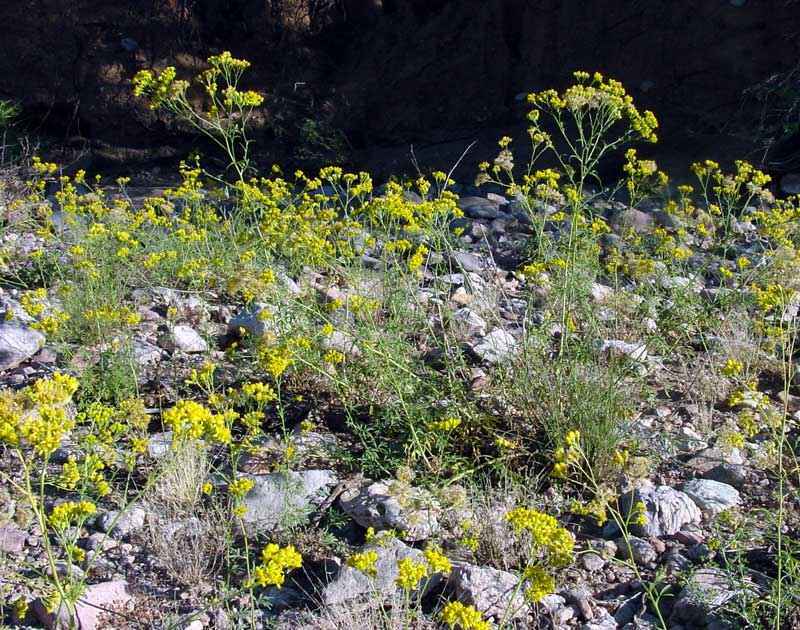 It is probably displacing many native annuals, but it is firmly established and cannot be controlled by any existing means. Graptopetalum rusbyi is a rare succulent in the family Crassulaceae. In IFNM a few plants are known from Waterman Peak. 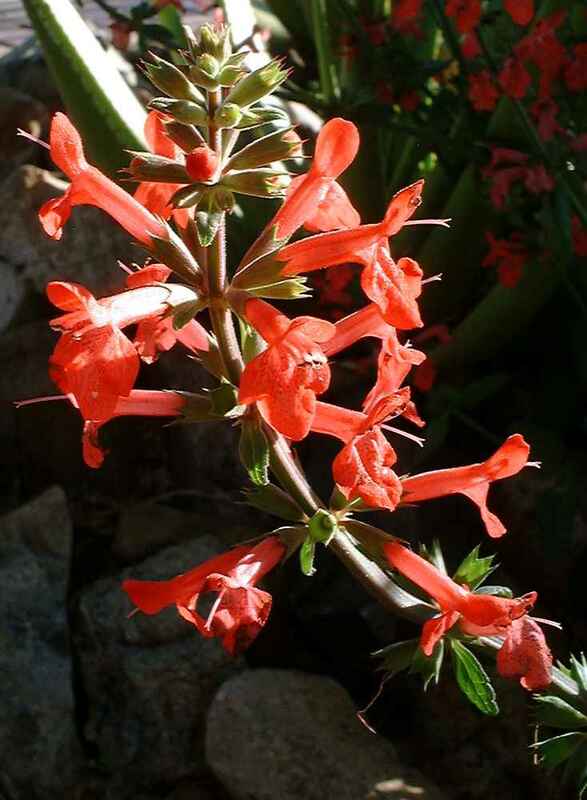 The flowers are about 1/4 inch across. 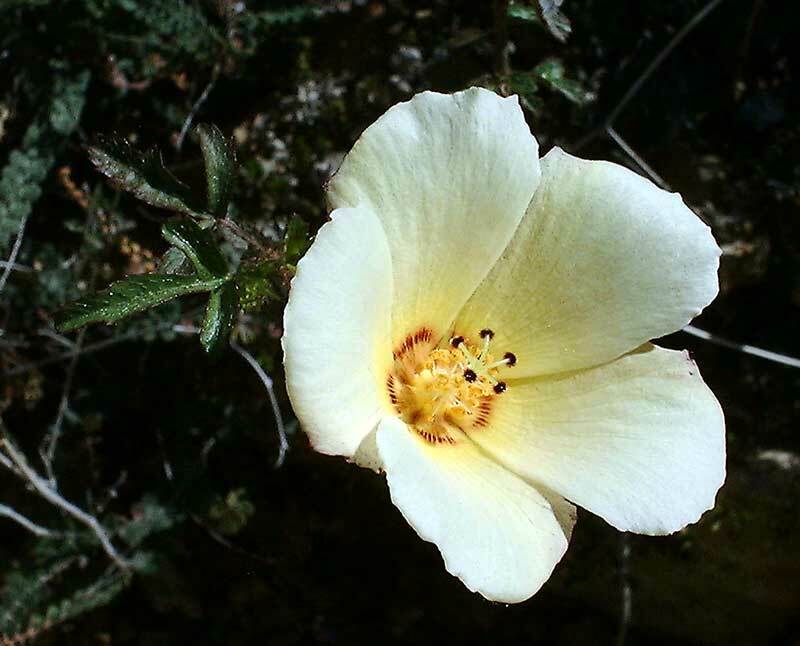 Hibiscus biseptus (Malvaceae) is rare in IFNM. 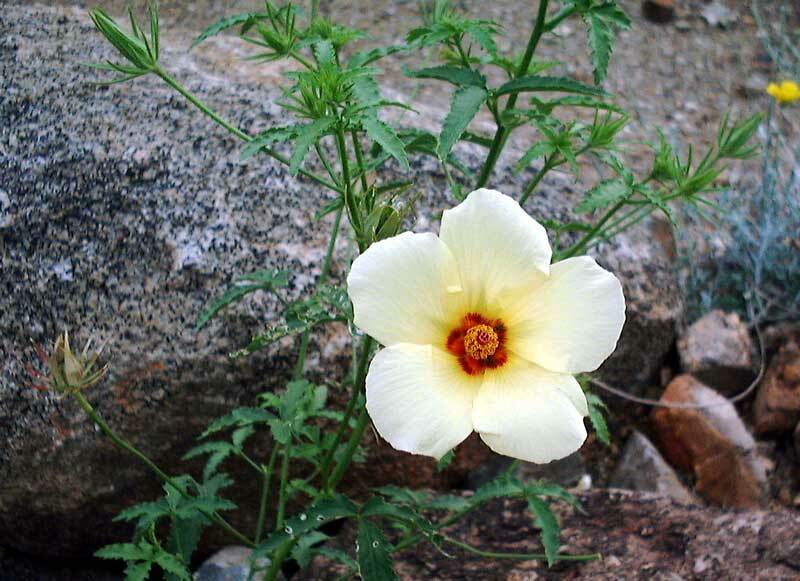 Hibiscus coulteri (Coulter hibiscus) is common but rarely noticed except when the flowers appear after warm rains. 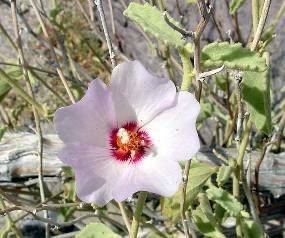 Hibiscus denudatus (rock hibiscus) is common in rocky habitats from California to central Texas. 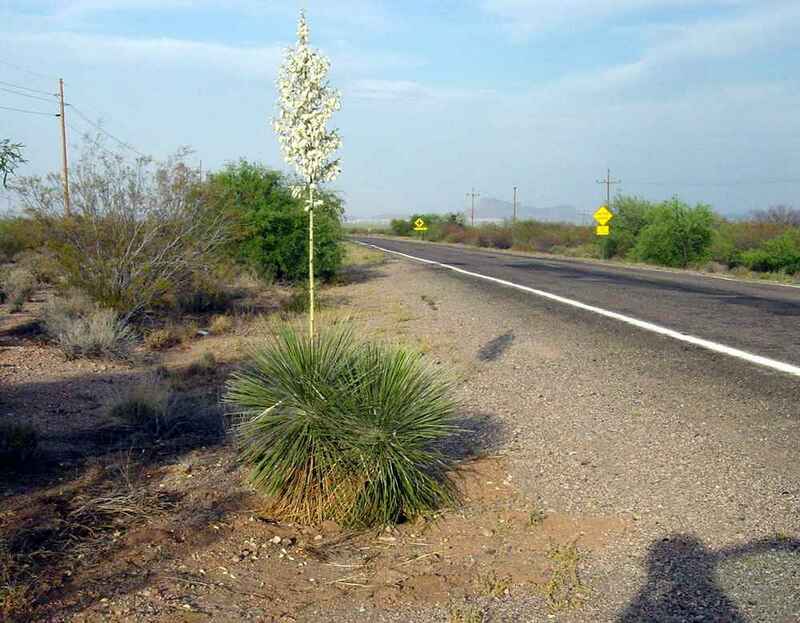 In the far western part of its range the flowers are almost white and get darker eastward. East of the Sonoran Desert they can be deep lavender. 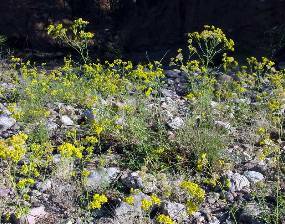 Hymenothrix wislizeni (Asteraceae) is scattered in wash beds. 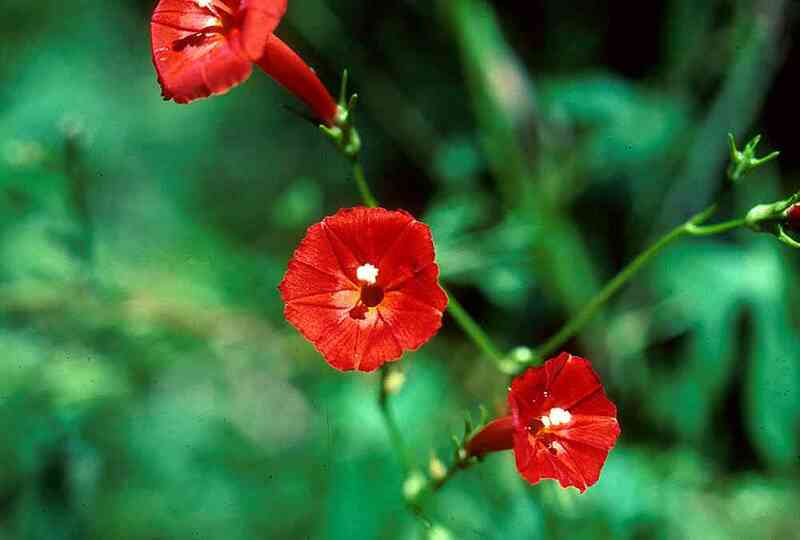 Ipomoea cristulata (scarlet morning-glory, Convolvulaceae) is an annual tropical vine that appears in wet summers. 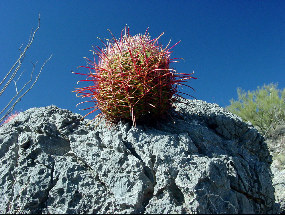 This specimen was from near Yécora, Sonora. 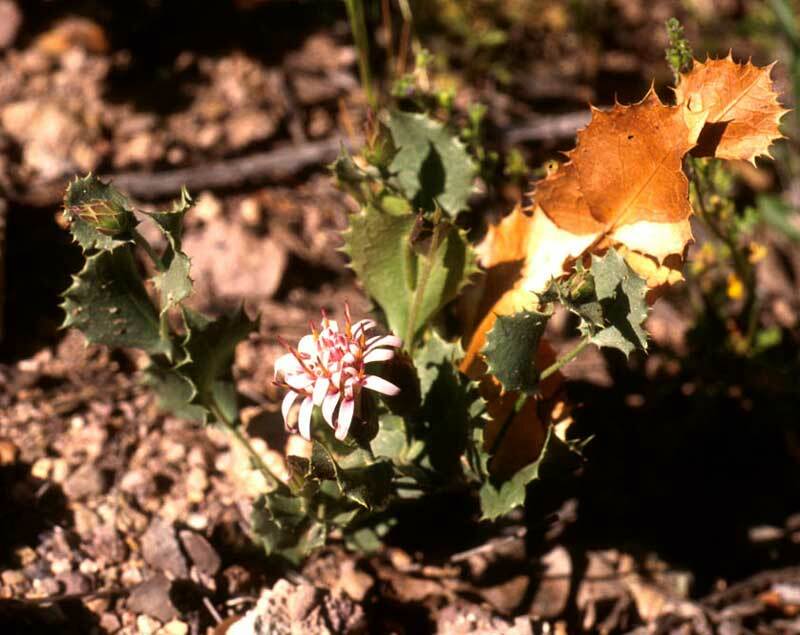 Justicia californica (chuparosa, Acanthaceae) is rare in IFNM but common at lower elevations. 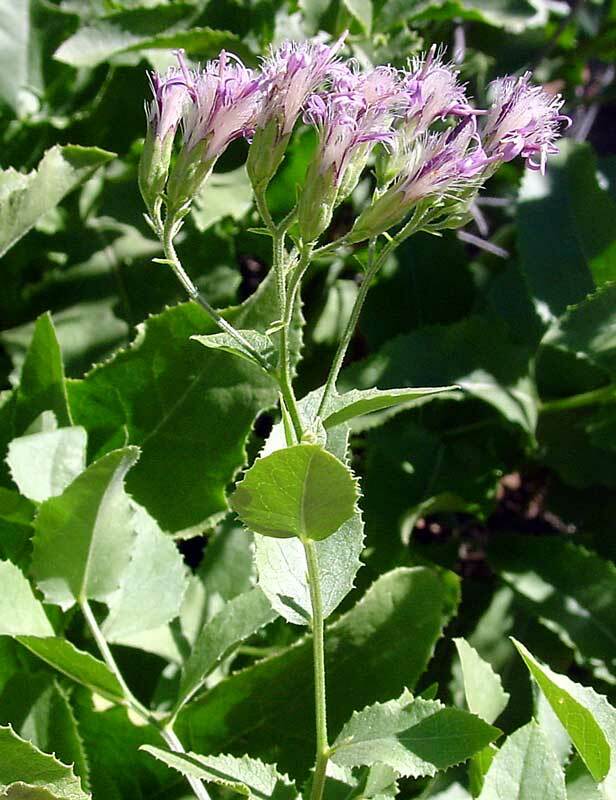 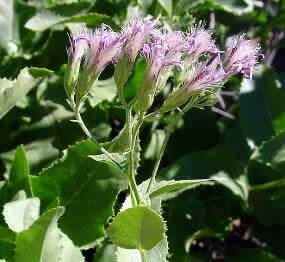 It blooms in winter and early spring and its nectar is an important hummingbird food. Maurandya antirrhiniflora (snapdragon vine, Scrophulariaceae) is in the same family as the garden snapdragon. 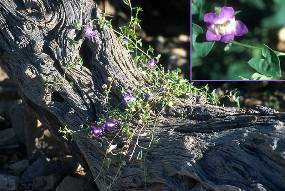 It is a perennial vine that flowers after good rains. 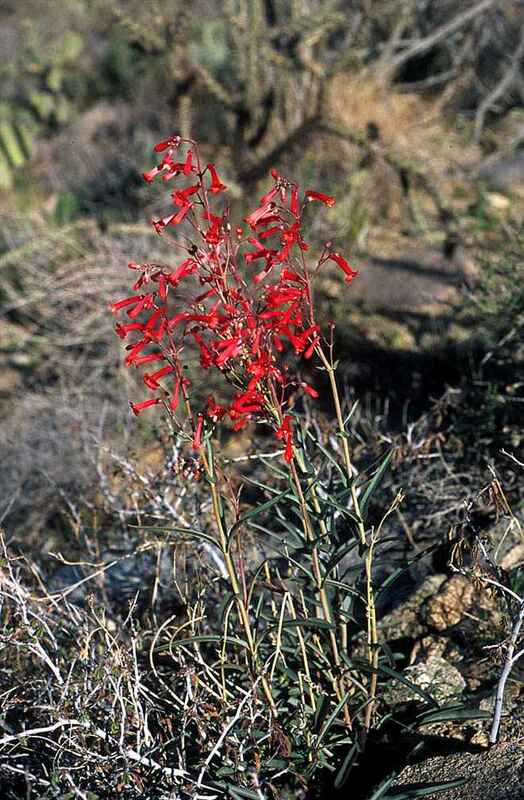 In the Grand Canyon region the same species has red flowers. 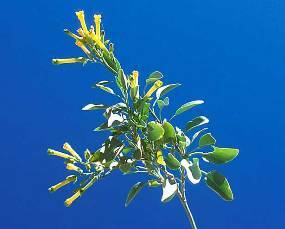 Nicotiana glauca (tree tobacco, Solanaceae) is an invasive exotic perennial weed from South America. 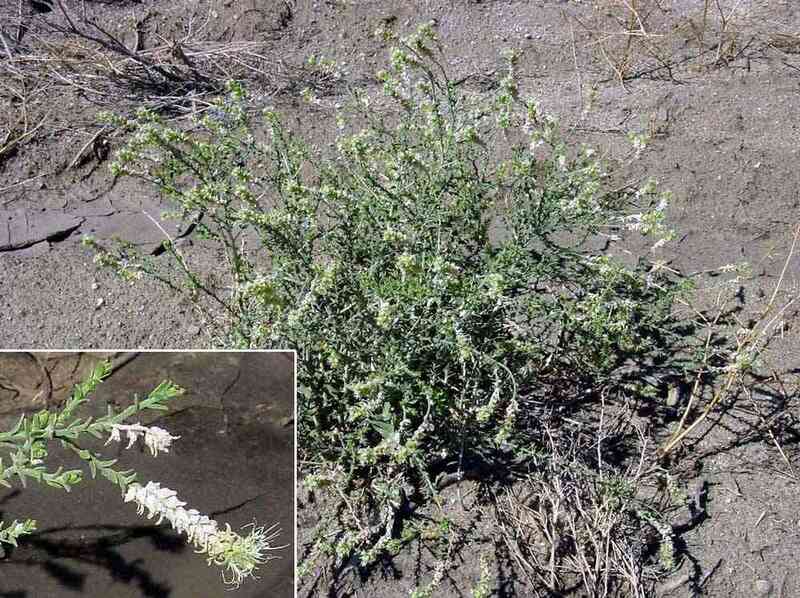 So far it is rare in IFNM. 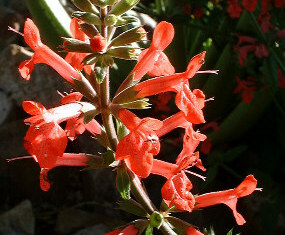 It flowers year round and attracts many hummingbirds. 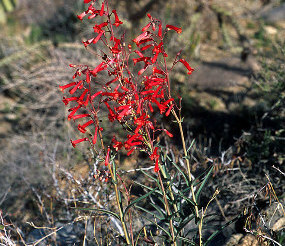 Penstemon subulatus is never abundant, but occurs as widely-scattered plants. This discovery by John Wiens may be the most unexpected plant in the flora of IFNM. 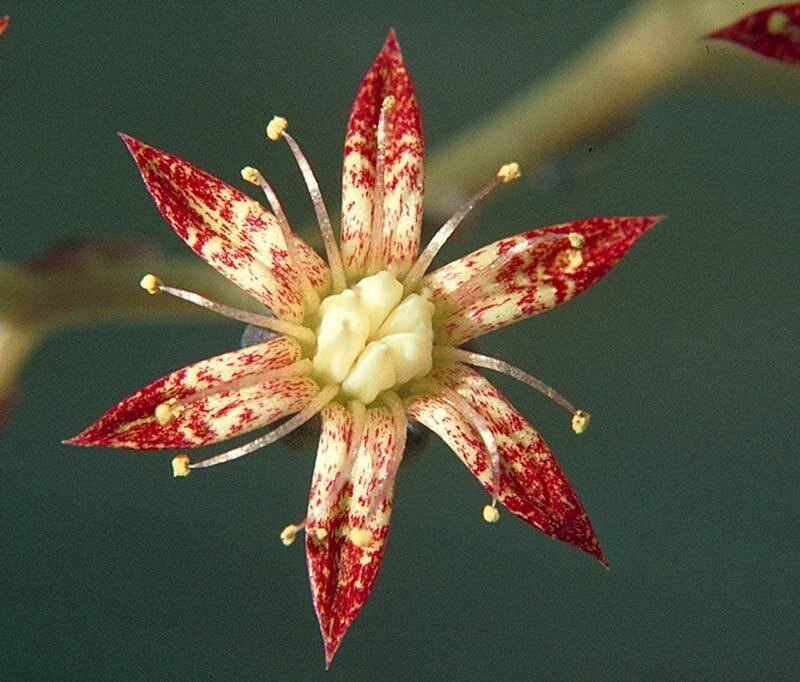 Pisonia capitata (Nyctaginaceae) is a thorny, vinelike shrub of tropical deciduous forest. 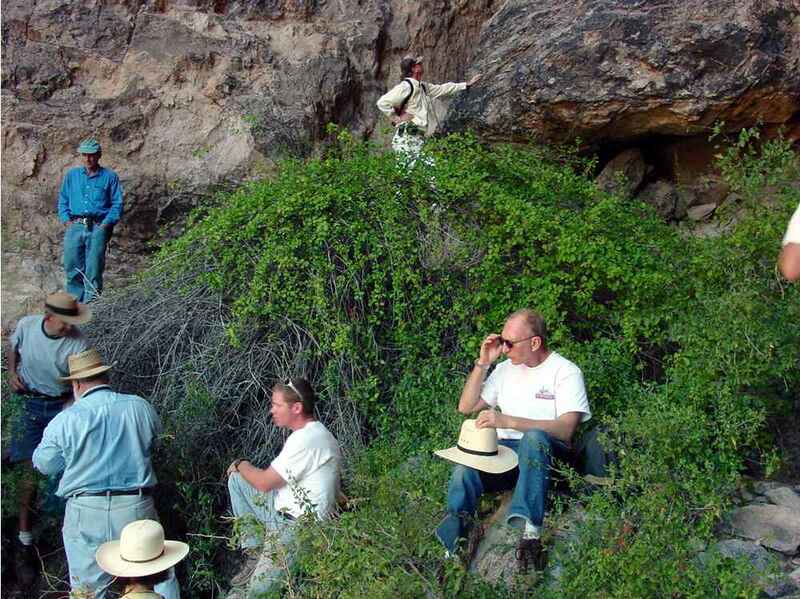 This small colony in a shady cleft on Ragged Top is 400 miles north of the next known locality in southern Sonora. 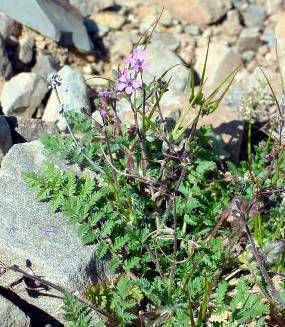 Stachys coccinea (scarlet betony, Lamiaceae) is a common higher elevation plant in the USA. It is one of numerous species that are found only on Ragged Top within IFNM. 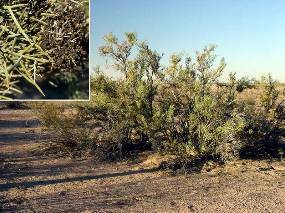 Tamarix aphylla (Athel tree or tamarisk, Tamaricaceae) is the less invasive of two exotic species from Africa. 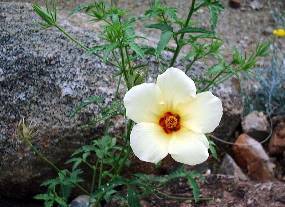 This one rarely if ever reproduces from seed. 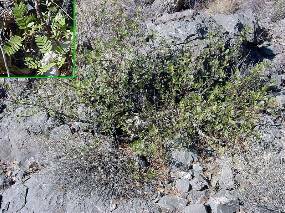 Nonetheless it can form dense riparian forests by branches that readily root. 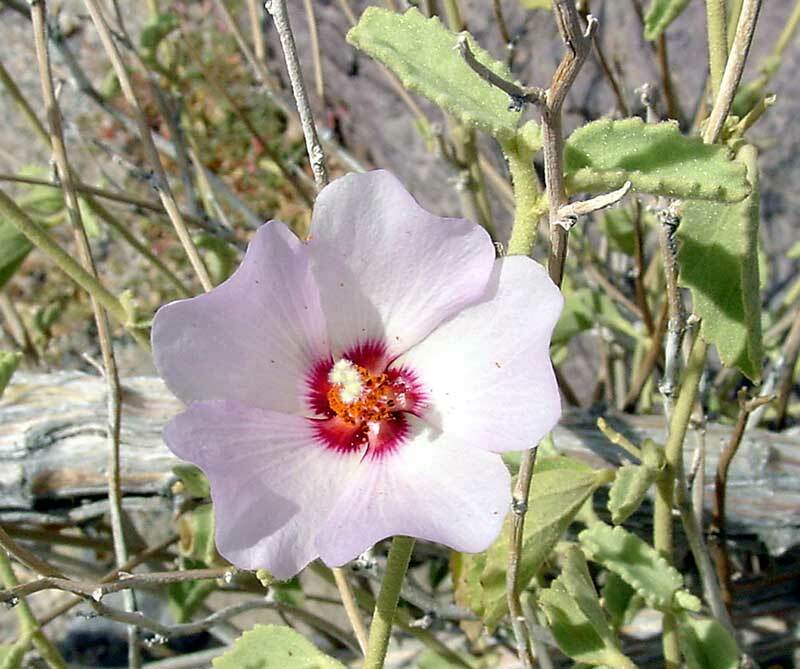 In IFNM it is common only in the heavily disturbed Greene Wash east of the Sawtooth Mountains and in a section of Cocio Wash near the ASARCO copper mine. 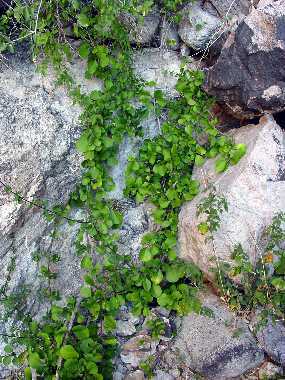 Tumamoc globeberry (Tumamoca macdougalii, Cucurbitaceae) is a small vine that grows from a partially subterranean caudex. 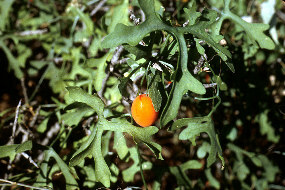 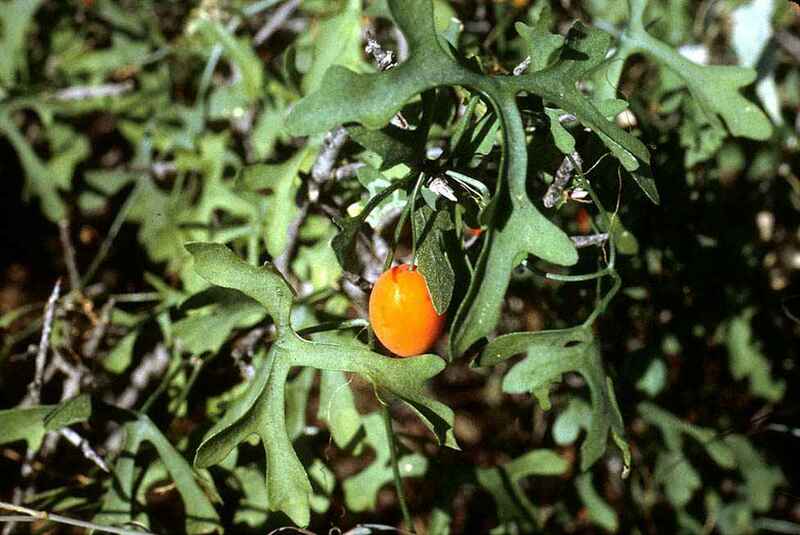 It is very difficult to find because it is extremely cryptic except when it has ripe fruit in late summer. 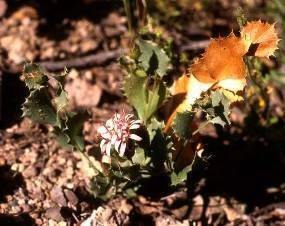 It was once listed as an endangered species, but was delisted when careful surveys revealed it to be fairly common and widespread. 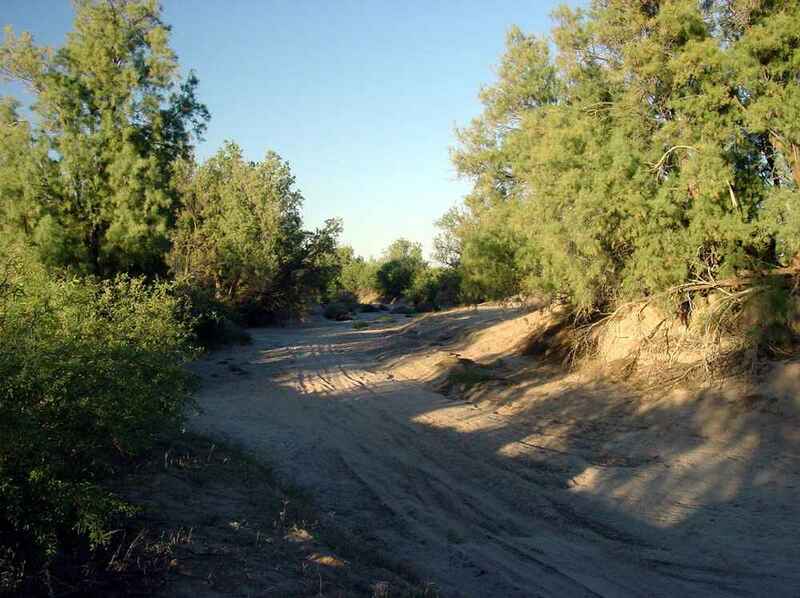 Since then, however, it seems to have vanished again. 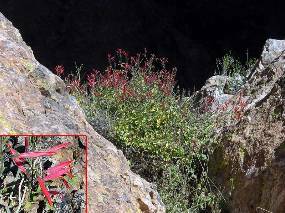 We did not find it in IFNM though it must be present there. This is the only Yucca elata (soaptree yucca, Agavaceae) found in IFNM. 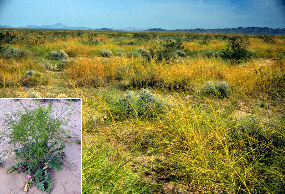 This species is more typical of desert grasslands to the east, though there are substantial desert populations northwest of Phoenix.